As former Soviet leader Mikhail Gorbachev turns 80, many around the world are taking the opportunity to assess Russia's progress since he ended the Cold War and opened the door to democratic reform within the Eastern Bloc more than a generation ago. Former Soviet leader Mikhail Gorbachev turns 80 on Wednesday, and many around the world are taking the opportunity to assess Russia's progress since Gorbachev ended the Cold War and opened the door to democratic reform within the Soviet bloc more than a generation ago. To celebrate his birthday, Gorbachev is presiding over a charity concert at the end of March at Royal Albert Hall in London. Metta Spencer is a Canadian peace activist and professor emeritus of sociology at the University of Toronto. She started travelling to the Soviet Union in the early 1980s to interview peace activists, dissidents and leaders of civil society. She has amassed a huge archive of those interviews and recently published a book, The Russian Quest for Peace and Democracy, which draws from that rich research base. She is organizing a gala in Toronto on Wednesday to mark Gorbachev's birthday. CBC News producer Jennifer Clibbon, who has lived and worked in Russia periodically since the mid-1980s, interviewed Spencer this week about the state of civil society and the future of democratic reform in Russia today. 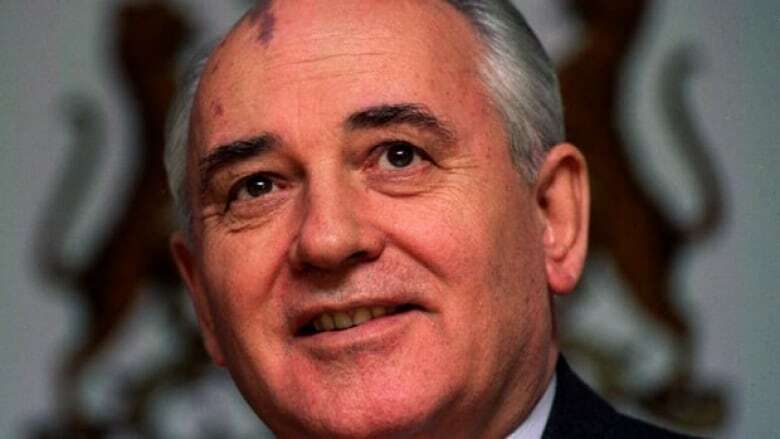 CBC News: Gorbachev has been uncharacteristically critical of the regime of President Dmitry Medvedev and Prime Minister Vladimir Putin in recent weeks, calling it arrogant and undemocratic. After years of being quiescent when Putin was president, why do you think he is positioning himself as an opponent now? Metta Spencer: I think he was so relieved initially to see [former president Boris] Yeltsin replaced that he was willing to give Putin the benefit of all doubts for a long time, especially since Putin never said anything rude about Gorbachev himself. Also, we must bear in mind how popular Putin was — and remains. Yes, he cheats in elections, but even if he did not, he would probably win; about 70 per cent of the population say they basically approve of what he has done. Gorbachev said once that there are even some benefits to having an authoritarian regime, though he didn't specify what he meant by that. I've heard other Russians say they admire the orderliness that Putin imposed after the utter chaos of Yeltsin's rule. Of course, the economy has done far better under Putin than under Yeltsin or Gorbachev, so people are appreciative. In reality, most of the easier economic situation that came with Putin occurred because of the increasing price of oil. 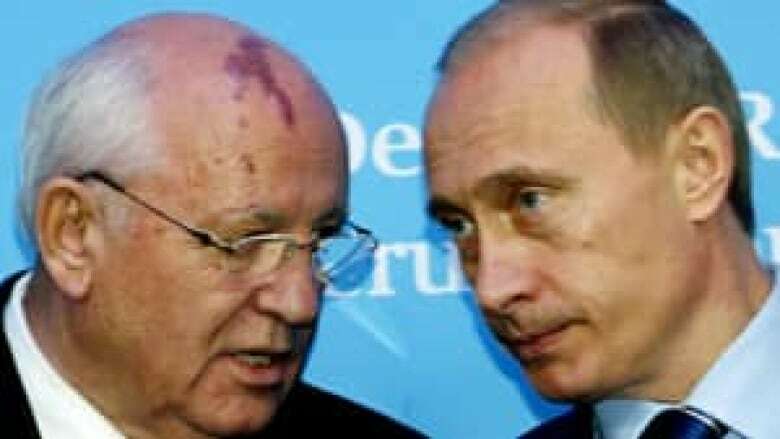 Possibly, the proximate reason for Gorbachev's irritation with Putin occurred when he tried to form a new social democratic party. Putin refused to register it. Of course, no opposition parties are allowed much publicity on TV or the press, but it was pretty shocking to have Gorbachev's proposed party refused permission even to form. In any case, clearly, Gorbachev has made up for lost time in criticizing the Putin-Medvedev tandem government. If his aides used to be mild in criticizing them to me, today, they are vigorous critics, primarily complaining about the loss of freedom of speech and the press under Putin, as compared to Gorbachev's earlier nemesis, Yeltsin. Among pro-democracy, peace and other grassroots activists in Russia, what are the primary concerns about the direction of democratic reform? It's not the direction of reform that worries them. It's the total absence of reform. Protesters go out into the street and get beaten up or even jailed, as, indeed, happened to a former deputy prime minister of Russia, Boris Nemtsov, a few months ago. Then they go out into the streets and demonstrate again — and again. They are remarkably courageous. 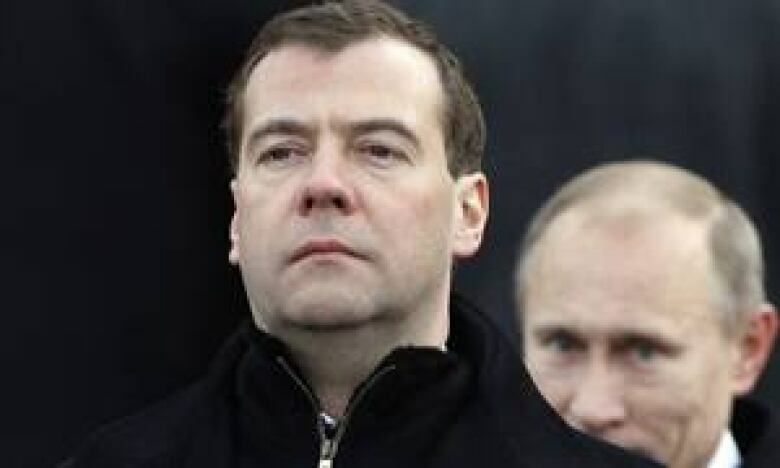 Unfortunately, although President Medvedev sounds like a Western liberal democrat in his speeches, there is no evidence that his words have any effect in the practical workings of the Russian state. One may hope that a brand new law designed to reform the crooked police system will improve the quality of law enforcement, but the best-known human rights leaders — such as Lyudmilla Alexeyeva, Lev Ponomarev, Oleg Orlov, and Garry Kasparov — all consider the changes merely cosmetic or imitation. We shall learn the results soon enough. What's the state of NGO and grassroots activism today in Russia? Which groups are the most effective and why? There are quite a few civil society organizations. However, after the Orange Revolution in Ukraine, Putin became worried about the prospect of a similar movement against his regime, and he correctly identified NGOs as potential sources of opposition. Hence, he introduced laws prohibiting those groups that do any political work from accepting foreign funds. On the other hand, there are non-politically active organizations that the regime wants to encourage. For the most part, these are volunteer groups that perform social services of some kind that the government might otherwise have to provide: aid to disabled persons, restoration of park lands, and the like. A couple of years ago, a measure was passed that provides governmental funding to some civil society organizations. That has helped significantly. As he turns 80, we have a chance to recall Gorbachev's career and achievements. He has been called a "world changer." What, in your view, are his primary accomplishments? He changed the world's map and probably saved most human beings from a fiery death in a nuclear inferno. He stopped controlling the Eastern European countries and enabled them to create their own democratic regimes. He began the process of democratizing the Soviet Union by holding the first truly free elections to legislative bodies. Eschewing violent methods of rule, he allowed civil society organizations to emerge and express new ideas, including nationalistic values that in the end destroyed the unity of the state. He reduced militarization — especially the nuclear arms race — and supported multilateral institutions such as the United Nations. He supported the rule of law and the rights of human beings everywhere. He began the work of revising the Soviet constitution with the New Union Treaty, which would have guaranteed no special role for officials of the Communist Party. However much of a mess Russia is today, it is nowhere near as tyrannical as the Soviet Union in which Gorbachev himself had spent most of his life. In Russia, Gorbachev is not viewed as favourably as in the West. Critics point to the fact that he did crack down on national secessionist movements, defended the supremacy of the Communist Party and continued harassment of dissidents. How would you assess this difference in opinion? Very few people were killed in police actions against separatist movements. I remember seeing him wade into crowds in the Baltic states, seeking to persuade citizens in face-to-face dialogue that they should remain within the Soviet Union. When he failed to persuade them, he allowed them to go. As for the other republics, there had been a referendum a short time before the Union broke up, and a substantial majority of the population in all those areas expressed a preference to stay in the Union. 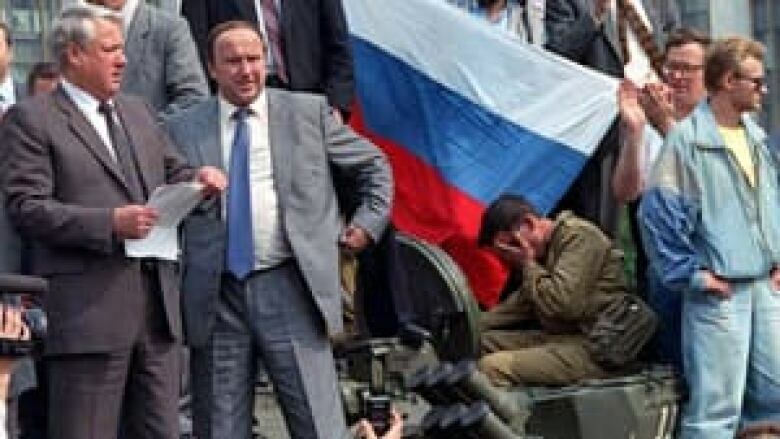 It was not Gorbachev but Yeltsin who broke up the Soviet Union — and it was animated by personal animosity, not a considered reasonable response. I know many former dissidents. 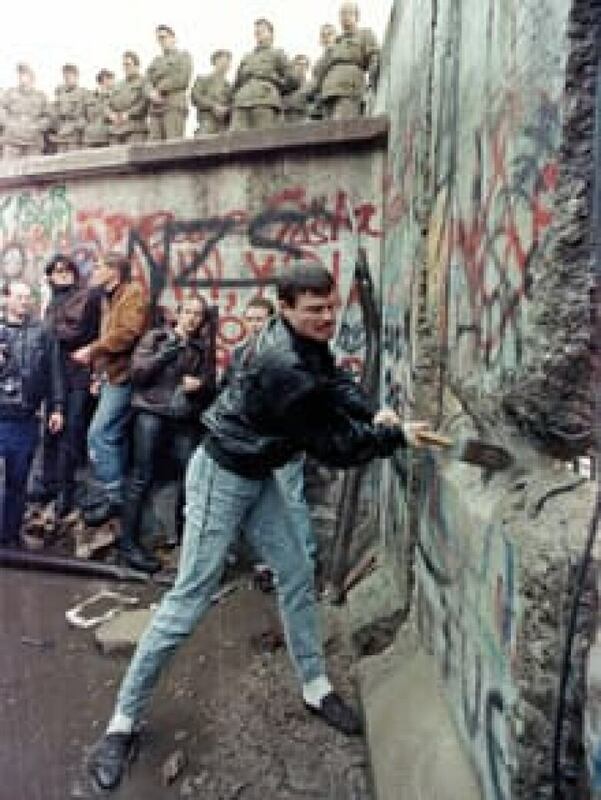 After Gorbachev came to power, most of them chose to leave the country and were permitted to do so. Moreover, I know Fyodor Burlatsky quite well. He was put in charge of the De Burght Conference, which negotiated new rules of religious freedom. He asked Gorbachev to free all prisoners who were being incarcerated because of their religious commitments, and Gorbachev did so. It is not accurate to say that he continued harassment of dissidents. Those dissidents who remained in the country were joined by a multitude of formerly acquiescent citizens who wanted to be regarded as dissidents; they formed an organization called Democratic Russia and followed both Yeltsin and Sakharov in opposing Gorbachev. As for defending the supremacy of the Communist Party, that was the farthest thing from Gorbachev's intention. As early as 1986, he was holding meetings with advisers to plan a transition to a democratic system of governance in which the [Communist Party] would be only one of several parties and in which it would have no special role to play beyond running candidates for office. He did not favor abolishing Article 6 of the constitution at the point when the radical democrats asked for it. That would have stripped the party of its special role. However, at that point, the radical democrats were a minority and could not have carried the motion. To attempt such an action at that early date would have provoked the entrenched party members to fight against all reforms. 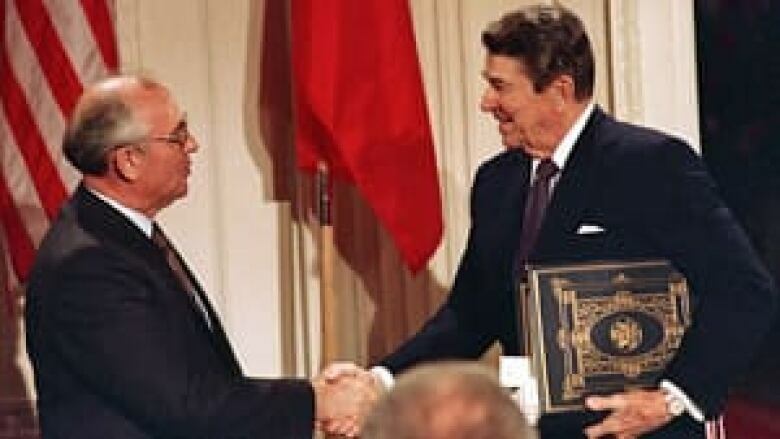 Gorbachev's preferred approach was to wait until the New Union Treaty could be negotiated, which would have had exactly the effect of ousting the old-guard party officials. Unfortunately, those officials understood what was about to happen to them, and only a day or so before the New Union Treaty was to be adopted, they attempted the August coup. You have been a peace activist since the 1960s. How important is Gorbachev's legacy in nuclear disarmament and the end of the Cold War? There has never been a political leader in history who has understood so much about the dangers of warfare and the urgency of replacing it with peaceful forms of governance. It was Gorbachev — definitely not [U.S. President Ronald] Reagan — who started the initiatives toward nuclear disarmament. He was willing to get rid of all existing nuclear weapons and plan ways of preventing new ones from being built. I have no doubt that he has saved humankind from a nuclear Holocaust that would certainly have taken place by now. It will be the work of our generation and probably the next one to fulfill his visionary plans, which can give civilization a chance to survive and flourish. No politician in history deserves more praise and gratitude. Indeed, I can think of no one who even comes close. Pundits have talked of a new Cold War under Putin and Medvedev and focused on the behind-the-scenes rearmament and crackdown on grassroots activism. Do you think this is overstated? One should never be complacent. Certainly, there is mistrust between the Russian government — and even the Russian people — and liberal Westerners. I don't consider this so-called new Cold War to be as dangerous as the old one, but Putin and Medvedev intend to re-assert their 'sphere of interest' by showing that no more states that had belonged to the former Soviet Union will be able to join NATO. In a way, I don't blame them. I don't think there should be spheres of interest that any superpower can dominate, but I also think that the U.S. should not have pushed its alliance up to the borders of Russia. There is plenty of blame to go around for the breakdown in relations between Russia and the West, but I would allocate quite a big portion of it to the United States, both for expanding NATO and for setting up missile defence systems that would weaken Russia's defensive system. But the U.S. cannot be blamed for the crackdown on grassroots activism. I believe in supporting pro-democracy movements abroad to carry out non-violent actions in pursuit of political rights and civil liberties. I think our government should always support our own values, though we should not meddle by directly trying to influence the outcome of partisan conflicts abroad. For example, we can help support a free media abroad but not fund political parties, in my opinion. All pro-democracy political movements must be led by the people themselves, not by foreigners. Gorbachev warned about the possibility of civil unrest in Russia similar to the kind we are seeing in the Arab world right now? Are the conditions really ripe for that kind of a popular explosion in Russia? I almost wish it were true that Russians want freedom enough to struggle non-violently for it, in the style of the Egyptian youth. But so far as I can tell, there is general acceptance of authoritarianism in Russia, even by most young people. I think that travel abroad would help sensitize them to the opportunities that are being denied them. And on a large scale, I would like to see hundreds or thousands of Skype discussion groups set up between Westerners and Russians, each one on a specific topic of interest to certain individuals and designed to take place once a month for a year. You'd have four music teachers in Omsk, say, talking to four music teachers in Sudbury for an hour every month. After one year, thousands of Russians would have a real sense of what freedom is like. They'd have foreign friends — and so would we. I think they would want more democracy for themselves and would have some better sense of how to pursue it.